RNAalishapes is a tool for secondary structure prediction, using shape abstraction. Input is a multiple sequence alignment. Pseudoknots are not considered at all. 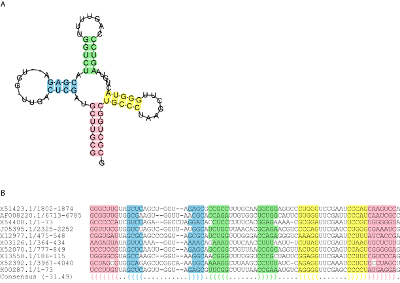 The image below shows the analysis of tRNA sequences. A previous version from the original author Björn Voß can be found here.